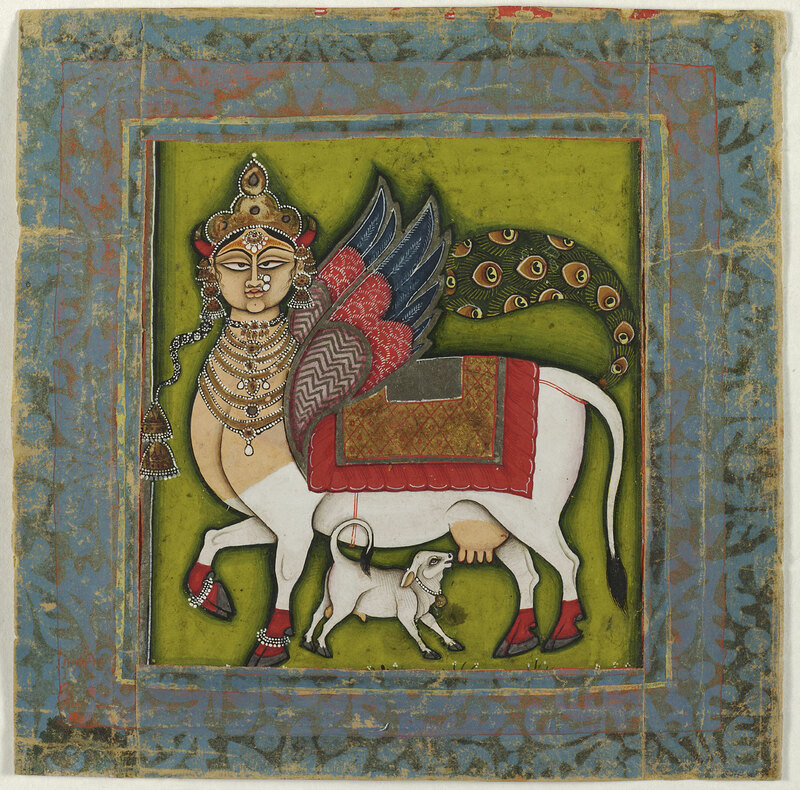 This vision of Kamadhenu, the wish-granting cow of ancient Hindu legend, combines a white zebu cow with the crowned, frontal female face, colorful “eagle” wings, and peacock tail of Buraq, the animal that the prophet Muhammad rode to heaven on his night journey (Miraj). From at least the fifteenth century, Persian paintings showed Buraq with a horse’s body, wings, and a woman’s face; the peacock tail may have been an Indian addition. Popular portrayals of Kamadhenu in India today often show her in this Indo-Persian composite form; this may be one of the earliest images to merge the visual characteristics of the Hindu Kamadhenu with the Islamic Buraq.